*Please note that I’m writing this post well before the 3AM Saturday morning time-stamp that is written into the publish date. It’s Thursday night, the Bruins just smoked the Canadians 7-0, and I’m celebrating. Saturday is a gimme when it comes to naming rights. Monday was easy with the Moon, Tuesday and Wednesday were pretty tough with Mars and Mercury , Thursday got a little easier again with Thor (Jupiter), but Friday was a real head-scratcher with Venus. Next to Sunday, which any moron can figure out, Saturday doesn’t hide much from the fact that is named after the planet and Roman God Saturn. The beer choice is easy too. Saturn is the God of the harvest as well as agriculture as a whole. Even better, he holds a sickle in one hand and a bundle of wheat in the other. I smell a Weizen coming on for our friend Saturn. Not just any wheat beer will do of course. Unlike many of my fellow Aleheads, I happen to drink wheat beers all the time (At least in the warmer months). I love a good Hefe, a refreshing Dunkel, and just about any Belgian Witbier that happens to be born outside of the good state of Maine. To make this selection special, I’m going outside the box and choosing a wheat beer that I think very few would have in their regular rotation. When is the last time you had a Weizenbock? If you’re going to choose a Weizenbock, you might as well go with the greatest example of the style in the Schneider Aventinus. Quite simply, a Weizenbock is a Dunkelweizen pushed up another level with a heavier malt profile and more booze. Sounds good, right? The Aventinus clocks in just over 8% ABV and while it appears dark and mysterious in appearance, it’s actually extremely refreshing. What I love about the Aventinus is the mixed message that it sends with a sweet, roasted profile that gets crushed in the finish my an overwhelming banana nose. Trust me, it sounds bad but it’s fantastic. I honestly haven’t had all that many Weizenbocks. Once again I’ll bring Victory into the discussion with their Moonglow – I like that beer very much. Other than that the only other Weizenbock I can even remember right now is the Brooklyn-Schneider collaboration, the Hopfen-Weisse. Go seek out Weizenbock before the Spring really sets in. While the beer is refreshing, it’s really perfect in the early Spring and late Fall when the temperature is still iffy and a good stiff beer is needed to warm you up. Also, if you happen to be overseas and can actually find this product, do yourself a favor and pick up the distilled version of Aventinus (I reviewed it here on Aleheads last year). It’s weird and has nothing to do with Saturn or the harvest, but I thought it needed mentioning. Tune in tomorrow for the last installment of our “Beer of the Day” series. We’ll of course be tackling that big ball of gas that basically makes all life possible. And by life, I mean beer, because without the Sun we’d be pretty fucked in terms of frosty beverages. Editor’s Note: Apparently I didn’t need that warning about this posting being brief. Apparently I talk a lot when I drink. Lo Siento, I’ll make sure tomorrow’s post is quick. 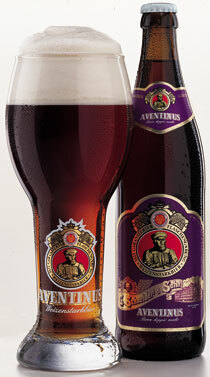 Posted in WTF.Tagged Aventinus, Beer of The Day, Saturday, Saturn, Schneider, Weizenbock. 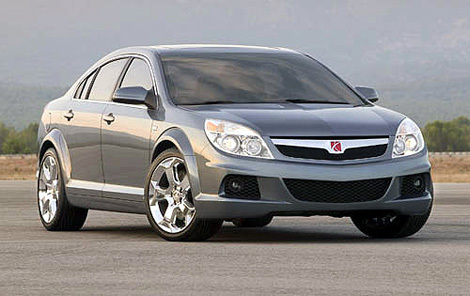 I’ll never forget the day you brought one of these home to the (ridiculously named) “Sweet n’ Lowdown,” Doc. There aren’t a lot of beers in the world that equal Schneider Aventinus when the spring air is still crisp – just a terrific brew.